Stay hydrated while out on the hunt with the Longshot 70 Hydration Pack featuring a 2-liter hydration system and extra room for your hunting accessories. 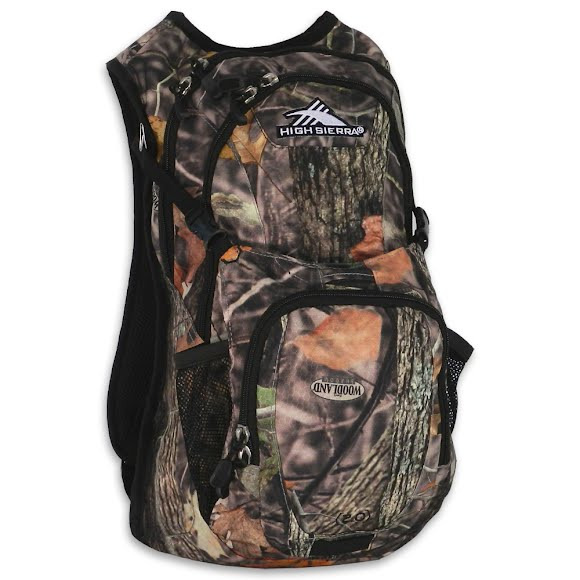 King's Woodland Shadow® premium camo helps keep you concealed while the adjustable shoulder, sternum, and waist straps ensure a comfortable fit. Stay hydrated while out on the hunt with the Longshot 70 Hydration Pack featuring a 2-liter hydration system and extra room for your hunting accessories. King&apos;s Woodland Shadow® premium camo helps keep you concealed while the adjustable shoulder, sternum, and waist straps ensure a comfortable fit. King&apos;s Woodland Shadow® camo pattern is developed from real life conditions in thick wooded forests by balancing the colors and not creating a pattern that is too dark, therefore losing its effectiveness and breakup. The high definition detail in the bark, leaves and branches provide a contrast that gives a stunning depth within the pattern that is effective both near and far. Now there is finally a pattern that is deserving of the woodland name. Dimensions 18" x 11" x 6.75"